Expired 3wk ago . Last validated 3mo ago . Used 11 times. Omar Dimas This deal is currently active and working as described. 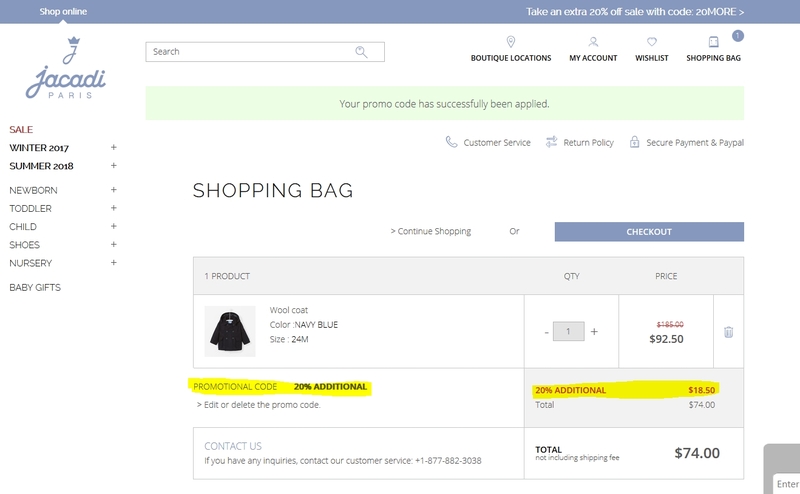 Add products to your cart and paste the code at checkout to get the discount. Carla Micett I am validating that this deal works as described. 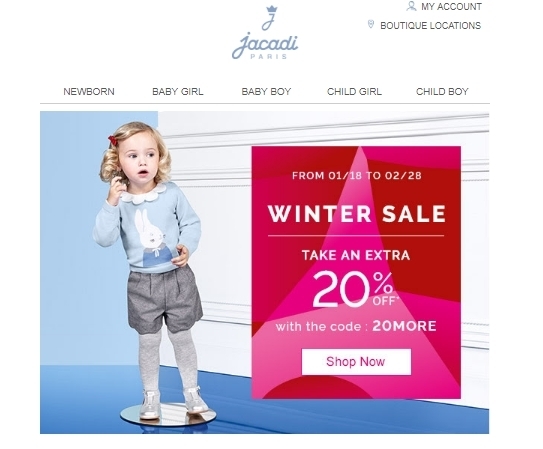 Enter code and Get 20% Off Winter Sale Items at Jacadi. 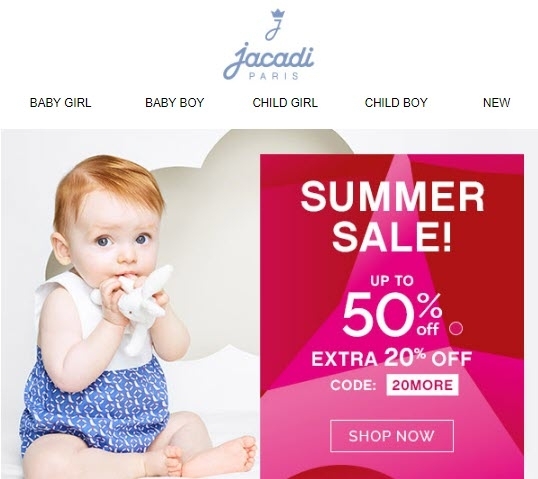 Ghepsi Canache Enter at Jacadi.us, select the article in the winter sale section, add the piece to the shopping cart and apply the code of the coupon 20MORE and so you will enjoy a 20% off. 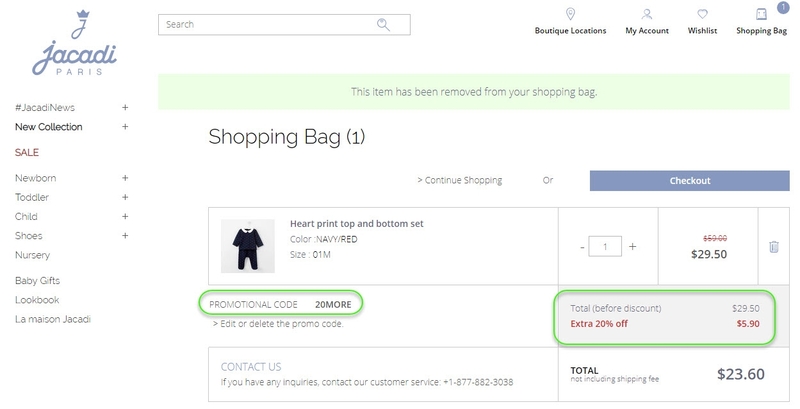 No site-wide, I´m validating that this deal works as described. 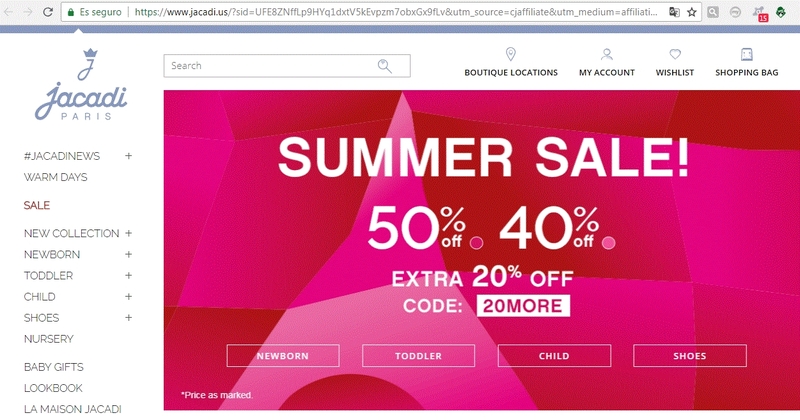 Allen Miller Extra 20% Off Winter Sale Items at Jacadi. From 01/18 at 12am (ET) to 02/28/2018. An extra 20% off is applicable in addition to the 40 or 50% off using the promo code 20MORE at the checkout.